The Treasure Box Club is begin in February 2019! Join Now! My 1st FOCUS group completed in November. We sold out with 17 boxes in less than 3 weeks. I will have 25 boxes available for the next group which will begin in February for the Chinese New Year. The group will re-open in January 2019 to allow me time to ship your box to you! Join the Treasure Box Club here! You know there has to be an easier way. You're working so hard and feel like you are doing everything you "should" be doing and yet you cannot seem to get ahead. You'd like to have a life with more living and less work. It's not really the money that you care about, but the freedom that the money brings. Freedom to do those things you really want to do and even share more of your time, energy and gifts with the world. You live for vacations and weekends and are tired of trying to make things happen. A more consistent flow would make all the difference and give you breathing room. You've tried a lot of different things - Law of Attraction, focusing on what you want, making vision boards and various programs and courses that were supposed to bring more flow. I'm happy to share with you that there's an easier and more fun way to get back in the flow of abundance and to amp up your wealth attraction factor. And you should know that being in the flow is FUN when magic begins occurring on a regular basis! Shifting your "Earth Luck" (the energy of your home) creates an environment that energetically supports what you want to be, do and have. 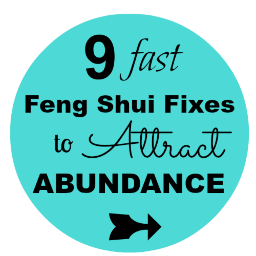 By using feng shui, a 6,000 year old proven practice, you will speed up the Law of Attraction and unblock what's keeping you from an abundant flow. If you're still reading, I know that creating more abundance in your life is something that's important to you. Join the Treasure Box Club here and you'll be brought to my Acuity scheduling page. You'll be asked to provide your physical address so I can mail you the Treasure Box Kit and then also asked a few questions to allow me to get a feel for where you are with money and what you'd like to create. Once you've completed the questions and joined the club, you will be invited to join the private Facebook group where I'll share more. You will receive your Treasure Box Kit in the mail within a week of joining so watch for the purple box in the mail! 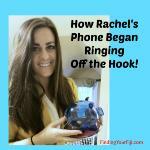 I remember when Rachel called me. It was early May of 2016. She was driving and couldn’t contain her excitement – she just had to share what had been happening after only 1 week of doing this powerful Feng Shui adjustment! “I had started my business in early 2016. Like many businesses, the early days consisted of a lot of work and finances going out...with not much coming in. A good friend of mine gifted me with the Treasure Box Kit from Finding Your Fiji. I set up the adjustment, but did not follow the steps. As an attorney, I am extremely pragmatic and was just not so sure about this gift my friend had given me! About a month passed, and while my business was growing, it was not necessarily doing so rapidly and I had a lot of anxiety about this. I more or less reached a breaking point and decided I was going to commit to the Treasure Box Adjustment. I set it up again and began following the instructions closely - being sure to set my intention and invite business growth into my life. The results of the Treasure Box Adjustment were nearly instantaneous. After only about a week of doing the adjustment, my phone began ringing off the hook! I began receiving numerous calls to the point I then had to worry if I could keep up with the work coming in! Of course, my hard work of networking and building my business led to many of the clients coming in, but I do believe that the Treasure Box Adjustment affected the energy surrounding my business growth. The fact of the matter is that I could sit and try to rationalize how this adjustment, and the other adjustments I have received from Finding Your Fiji, work...but the positive impact and results that I have had speak for themselves! Feng Shui is many thousands of years old. It is an art and science based on the principle that your space and your environment, affects and reflects your life. Feng Shui improves your life by working with the energy of your space. Making subtle shifts helps you create an environment that energetically supports what you want to be, do and have in your life. Often there are things in your space that are blocking or draining your money luck and preventing an abundant flow of the green stuff. These are things that you many not even realize are impacting you and your life. What is the Treasure Box Club? The Treasure Box is a very special and powerful Feng Shui adjustment that helps you shift your abundance attraction energy in just under 4 weeks. The items needed for the adjustment are very specific. The adjustment itself involves collecting coins and depositing them into your "Treasure Box." The "Box" is created with specific items (piggy bank, red cloth, new black pen, mirror and red paper) placed in a specific order in a specific place in your home. Plus, for those in relationship, you and your partner can perform the adjustment together with just one kit! When you join the Treasure Box Club you receive everything you need to perform the adjustment in a purple box! I chose the color purple for the boxes for a very specific reason. Purple is the Feng Shui color for wealth and represents abundance. The BOX also contains ANGEL ENERGY which means that as soon as you receive it (and often right when you register for the Treasure Box Club) the Angels begin working their magic and things will begin subtly shifting for you. You'll also receive a picture of one specific Archangel who wants to accompany you on your journey! "I was reflecting on the last few months of 2018 and how grateful I am to be a part of the Treasure Box Club. I am happy that I listened to my intuition early one morning when I shot out of bed thinking “I think I’m suppose to be a part of Treasure Box Club”...then signing up 30 minutes later. The Treasure Box Club is a supportive community of like-minded people coming together to boost our abundance individually which also serves to boost the wealth the collective Treasure Box Community because our intentions are multiplied in a group! Within the community you receive support to ensure your successful completion of this powerful abundance-attracting Feng Shui adjustment. Plus, the Treasure Box Club shifts your awareness so that you notice and appreciate the abundance already rampant in your life. And allows you to celebrate the abundance others are experiencing as well, which serves to amp up your own bounty. As a part of the Treasure Box Club, we will spend 33 days together performing the adjustment & focusing on increasing all aspects of Wealth, Abundance & Money Luck! PLUS You'll be able to re-use your kit to participate in future Treasure Box groups for FREE! BOUNTIFUL BONUS - one lucky soul gets a FREE 30 min Angel Reading certificate (worth $99!!) to begin feeling abundance immediately! Look for this LUCKY red envelope in your box to be the winner! Join the Treasure Box Club TODAY! Upgrade to the VIP Treasure Box Club Experience! Boost the power of the Treasure Box Adjustment experience by receiving personal Angel guidance and working through the emotions and energetic blocks you have around money so that you continue attracting all the abundance that you desire and deserve. It includes everything in the Treasure Box Club PLUS 2 private 1:1 60 minute Life Navigation phone sessions!! The VIP option is a $520 value for only $444! The Treasure Box Club will give you a jump start on creating a positive flow of all sorts of abundance into your life!